China is grappling with a series of unappealing choices as it tries to calm investors unnerved by abrupt falls in its currency and another stock market rout. In recent weeks, the People's Bank of China has attempted to guide the yuan lower against the U.S. dollar, a move that many analysts have interpreted as an effort to help the country's exporters and bolster faltering economic growth. The central bank's strategy has backfired. Panicked investors have aggressively sold the currency, believing it will be worth less tomorrow. Currency dealers in Hong Kong -- where the yuan is freely traded -- have piled on the pressure, making the yuan worth even less than it is in mainland China. The selling has been so fierce that China has been forced to spend billions of dollars buying the yuan to stop it falling too fast. In December alone, the central bank burned a record $108 billion in reserves. On Thursday, the bank was again reported to be intervening in the Hong Kong market in a bid to limit the damage. Officials have blamed speculators for the market turmoil, saying it bears no relation to the real state of the economy. "Some forces attempt to make profit from speculating on the [yuan]... which only leads to abnormal fluctuations in the yuan's exchange rates and sends the wrong signals to the market," the PBoC said in a statement. 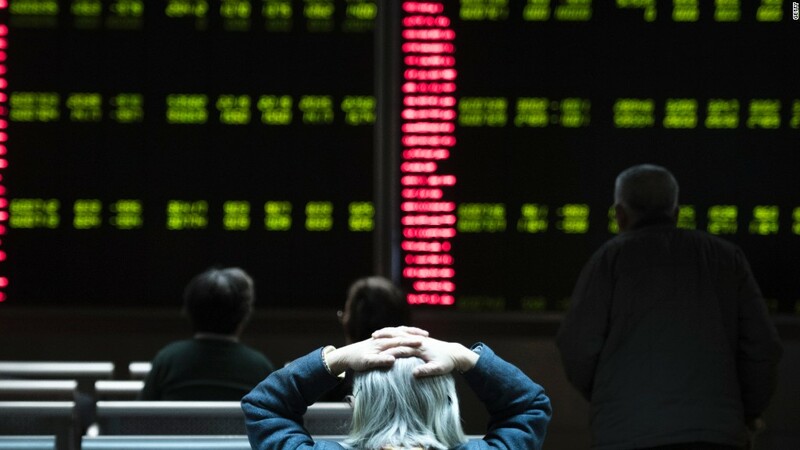 The tumult, and the central bank's response, have fueled a crisis of confidence that spilled over into stock markets in China and around the world. "Policymakers should have noticed the correlation between the [yuan] and the volatility of asset markets," said analysts at Natixis, adding investors will be paying close attention to what the central bank does next week. On Friday, the bank allowed the yuan to rise a little, rather than continuing to guide the currency lower. It has already lost 6% against the dollar since August. Some analysts say that instead of defending the yuan at huge cost, the central bank should accelerate reforms to liberalize the currency. Many have also called for more transparency in the currency's management. Critics point out that this is the second time in recent months that the central bank has contributed to a market crisis. In August, it surprised investors by changing the way the yuan's daily "fix," or trading limit, is set. The bank also pushed through a 2% devaluation of the currency. Stocks tanked as a result. Allowing the yuan to trade more freely, however, could accelerate the currency's decline, and make it more difficult for Chinese companies to pay off debts denominated in dollars. It would also encourage domestic investors to move more money out of China. Beijing -- in general -- is loathe to give up control, despite the success of market reforms since the 1970s. If the Communist Party isn't able to take meaningful steps, however, analysts see more trouble ahead for both the yuan and stocks. "They've got to find a new way if they want to alleviate concerns about these market crashes," said Andrew Sullivan, the managing director at Haitong International Securities. "At the end of the day, it just reflects that markets need to run in a free market way. China is a command economy but you cannot have a command stock market."